The Quran does not affirm Jesus’ sworn testimony that He is the Son of God (Matthew 26:63-66). 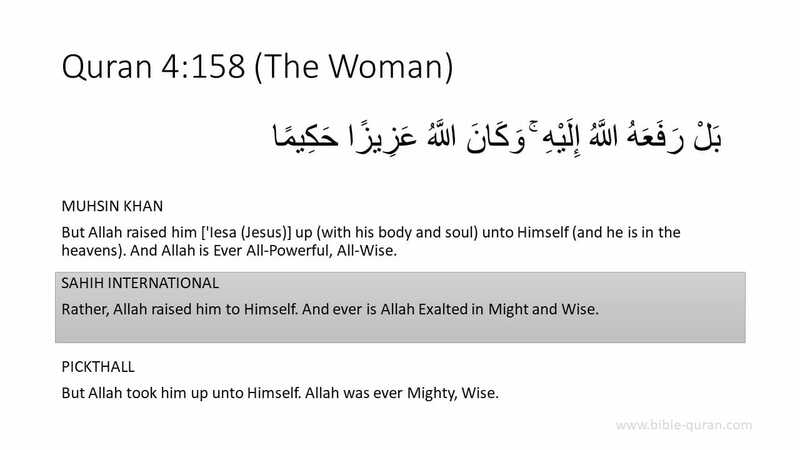 The Quran categorically denies that Jesus is God. 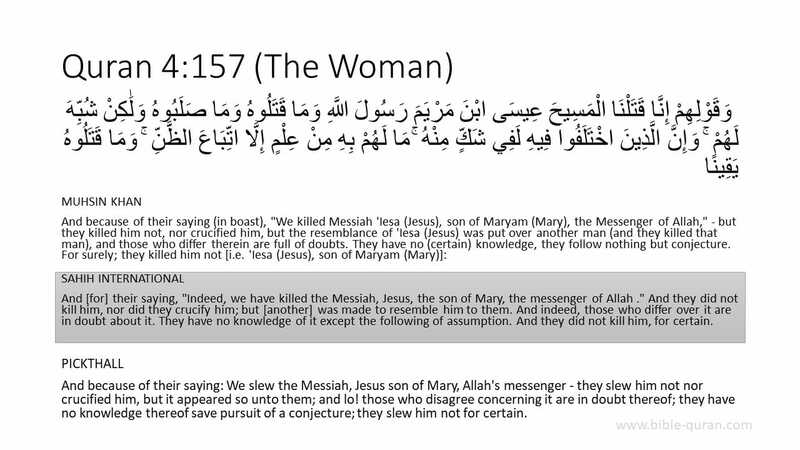 The Quran does not affirm the historic event of Jesus’ death on the cross for sin (Quran 4:157–158). The Quran does not affirm the historic event of Jesus’ resurrection from the dead for the righteousness of those who believe in Him. The Quran does not affirm Jesus as Lord. The Quran does not affirm Jesus as Savior.